If you’ve attended a movie or generally looked at things in the past five years, you’ll know that we’re in the age of ubiquitous gotham. The MPAA has switched to Gotham for their ratings screens. If you pay attention to the previews before a movie, it’s now the go-to font for all movie titles. Obama’s 2008 campaign standardized on Gotham and Sentinel (another H&FJ face) for their celebrated visual identity. In 2012, Obama switched things up and standardized on Sentinel and Gotham. Code for America uses these two excellent fonts on our website via the H&FJ cloud service. 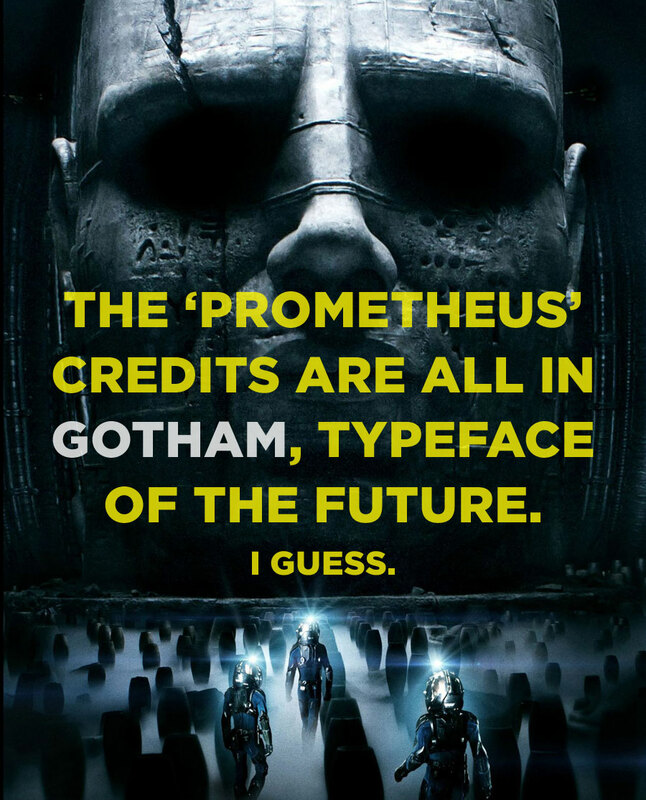 Gotham is the inception horn of typefaces. It’s a major, inescapable part of the visual landscape, and I think it needs a boycott. You might be interested to know that the celebrated type foundry Hoefler & Frere-Jones who created the typeface is going through an acrimonious divorce right now. Do yourself a quick favor and read Tobias Frere-Jones’s opposition to Hoefler’s motion to dismiss. The short version is that Frere-Jones joined Hoefler’s foundry over ten years ago, and brought with him a set of “dowry” fonts that he had developed for his previous employer. In return, Hoefler allegedly promised 50% of the company, changed its name to Hoefler & Frere-Jones, and spent a complete decade referring to Frere-Jones as “partner” while quietly stalling on making the status official. Frere-Jones finally got fed up waiting and forced the issue, things went pear-shaped, and the studio is now called Hoefler Company. I’ve had my issues with H&FJ in the past, but this current situation is an object lesson in the perils of half-assing legal relationships. Hoefler is a celebrated designer himself, but in this story plays the role of jerkface suit. Frere-Jones is probably too naïve for his own good, but here he is serving as a critical example for why you should always get it in writing, even just a one-sentence napkin scrawl of intent. I left my own former company Stamen Design in 2012 after nine years, and my experience working with Eric and Shawn and eventually departing was a cakewalk thanks to Eric’s above-board handling of my 25-year-old self in 2003. So, to draw attention to the need for businesses to treat designers with respect, and the need for designers to insist that business processes happen by the book, I think it’s time we put an end to the age of Gotham everywhere.